hobby_homebrew has no other items for sale. $0.25 shipping for each additional eligible item you buy from hobby_homebrew, when you use the cart to make your purchase. Thanks for shopping with HobbyHomebrew.com! Great transaction. Fast shipping and packaged well. Very useful, came just in time despite shipping delay. Wrong product shipped; sell corrected it. 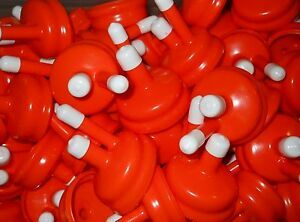 I’ve used rubber bungs for carboys in wine making and have had awful rubber smell and flavor tainting wine. These fit real nice on plastic carboy and I’m hoping they eliminate leaching problem. They are made strong and yet very flexible. This product worked great with my plastic carboy, but not on my glass one the spout on the glass carboy is of a smaller diameter. It got to me on time and well made. Not much to say. It is what it is.